Ipswich Nut Brown Ale is brewed with a combination of two row pale, chocolate and caramel malts. The brewery uses Tettnang hops up front for their bitterness and magnum hops on the back end for their aromatic contributions. 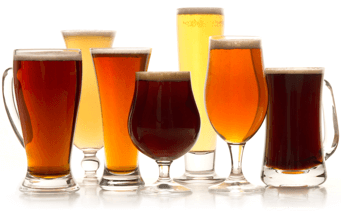 Look for a full-bodied beer with a creamy smooth texture. Note a dark brown in color with ruby hues and a head that stands firm with a nice tan color to it. We found the nose to offer aromas of roasted malt and caramel. We really liked the nutty malt and sweet caramel flavors in this American Brown Ale. The finish has a hint of chocolate, as well as some nuttiness. You’ll pick up on a slight hop bitterness throughout this tasty beer. Overall, we really liked the interpretation of this brown ale and know you will too! Founded by Paul Silva & Jim Beuvais in 1991, the Ipswich Brewing comes with a classic brewery start up story. Paul was working as a psychologist and Jim was working in the software industry when, like so many other brewery owners, they found their calling. Many would contend that listening to people’s troubles and dealing with computers all day could drive anyone to drink, but these two had greater ambitions. Ipswich, Massachusetts is located in an area known as the "North Shore", just north of Boston, along the water. It’s an area that is particularly known for its great microbreweries and most of them have the Ipswich Brewing Co. to thank for that reputation. 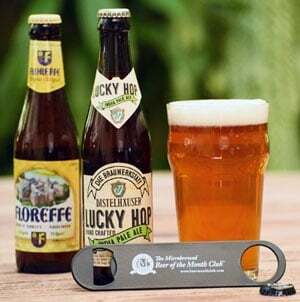 The brewery’s charter is simply to make "Homebrewed Beer" commercially available. The brewery originally bottled in growlers and allowed customers to come back for a refill. As the beers became more popular and it was time to expand, they added 12-oz. bottles and increased distribution. Word quickly spread among beer lovers and the community as well when the Ipswich Original Ale was named one of the ten best beers in the world by Wine Enthusiast magazine. Recently Paul and Jim sold the brewery to their Brewmaster, Rob Martin. The two men were ready for a change and Rob was ready to run the show. He will continue to make traditional unfiltered English style ales just as he has done for the last nine years.